The introduction of the HP PCIe 8Gb Fibre Channel Host Bus Adapters brings datacenter infrastructure components to a higher level of performance and efficiency with the ability to deliver twice the I/O performance of 4 Gb FC HBAs. An 8 Gb Fibre Channel HBA purchased today is backward compatible with 4 and 2 Gb storage networks and will protect future investments. When using storage intensive applications, such as backup/restore, database transactions, virtualization, and rich media, the increased performance of the 8 Gb infrastructure enables more rapid storage and retrieval of critical information. Finally, PCIe 8Gb FC Host Bus Adapters provide a number of features that work together to reduce power consumption, thus delivering a "green" benefit within the server. The Highest Performing Fibre Channel Host Bus Adapters. 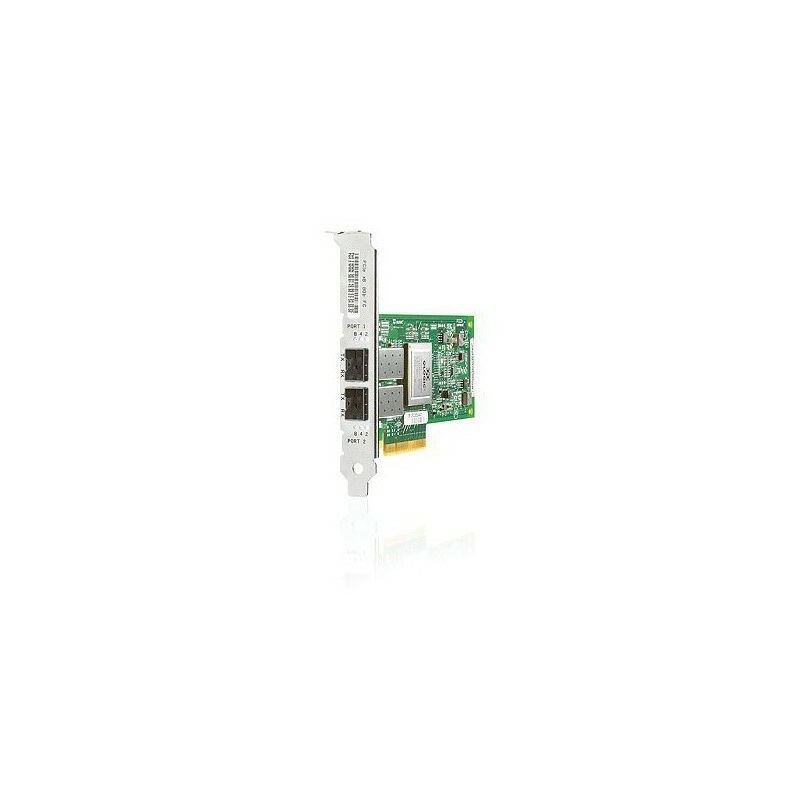 The PCIe 8Gb Fibre Channel Host Bus Adapters deliver twice the I/O performance of 4Gb FC HBAs. Moving to 8 Gb technology provides the infrastructure required for the more powerful servers and data intensive applications of the future. When using storage intensive applications like backup/restore, database transactions, virtualization and rich media, the improved I/O performance enables faster storage and retrieval of data. Best Fibre Channel HBAs for Virtualization. Ideal for the implementation of virtual servers with the power to drive multiple virtual machines. Allows a single port to acquire multiple N Port IDs, eliminating the need for additional physical ports. Datacenter administrators do not need to concern themselves with multiple requests from the virtualized servers potentially creating conflict. Improves host utilization and enhances application performance. Latest Technology Supports Green Initiatives. HP 8 Gb FC HBAs have unique features in support of ‘green’ server technology. - Supports virtualized servers for overall effective server utilization.